I know how hard it is for new bloggers to find opportunities and how overwhelming all this information is. Everyone starts off in the same boat. That’s why I wanted to create this list – to make it easier for those navigating the beginning stages of their blogging career looking for paid blogging jobs. Recently I’ve learned that there are a ridiculous amount of blogging sponsorship networks out there and it’s not that hard to get into some of them. What is a sponsorship network? A sponsorship network is a platform that connects brands with influencers/individuals who can help promote their brand/products. Most times in order to sign up as a blogger for a sponsorship network you have to fill out a profile detailing all of your information – your social channels, follower counts, engagement info, contact info, etc. Sometimes networks require you to have a certain amount of followers before you can even apply. Unfortunately, this has kept me from a few networks that I would really love to be a part of right now. But, it’s ok I will get there one day soon and that is exactly why I decided to come up with this list of blogging sponsorship networks for newbie bloggers to join. Everyone has to start somewhere, right? First I want to share the networks that I have been accepted to and have already completed campaigns for and been paid by. Here are my current stats so that you have an idea where I stand in terms of followers/reach. Blog Pageviews/month: 1,800/mo. I have been revamping my blog in the last few weeks. My original theme was nothing but a headache and I’m certain was affecting my SEO. I have now hired someone to help me with SEO and someone to fix some technical issues and my pageviews are increasing. (More about that in a later post). (updated 5/23/18 – 4,000 pageviews/month) (updated 9/22/18 – 18,000 pageviews/month) (updated 12/26/18 – 4,000 pageviews/month – haven’t been staying on top of it!) (updated 4/20/19 – 11,800 pageviews/month). This should give you a pretty good idea where I stand in terms of reach (total followers/views together). Now I want to share with you the sponsorship networks that I have ALREADY completed campaigns through and been paid by. Social Native – Social Native is great for new bloggers because it has campaigns available for so many niches. Not only that but Social Native campaigns (generally) only require 1 instagram photo. No blog post, no social shares, etc. While the pay is very low it’s still a great way to get your foot in the door to start working with some big brands like Lays, Lululemon, Clinique, Sucrets, and more. It’s so good for your blogging experience to work with brands like these! Heartbeat.co – This platform pays the absolute lowest and to many it’s not worth the time. However, if you’re a brand new blogger with no past campaign history it’s a great way to get started. The campaign requirements are generally very simple (all mine have been 1 instagram post) and they will email you when they think you are a perfect fit for an upcoming opportunity. Izea – This platform also has opportunities for virtually any niche. I was signed up with the free plan for quite a few months and still hadn’t received any offers. I decided to give the $1/month plan a try and literally 2-3 weeks later received a direct offer for an UH-MAZING campaign that fit my niche to a T! Activate – While this network is definitely a little tougher for a newbie blogger it is definitely still one to join. Many of the campaigns require a large following and/or blog pageviews however, not always. I applied for DOZENS of campaigns before ever receiving one but one that I did get was absolutely perfect for me! I have only done one campaign via this platform so far but it was very organized and payment came exactly on time. Influence.co – Influence.co is great because it is yet another network that offers campaigns for a variety of niches. I have seen everything from childrens products to fitness/health products to apparel, etc. You simply scroll through the available opportunities and apply as you see fit. I have landed some great campaigns through here for both fitness and parenting. FitApproach – If fitness/wellness is a main topic of your blog I highly suggest hopping on the Fit Approach Network. There are some really great apparel/wellness item opportunities and the owners are so helpful and always available for help when needed. 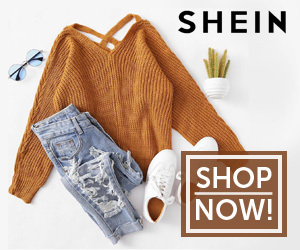 ShoppingLinks – This platform mostly offers payment in kind however, I have seen Nordstrom on there so it’s worth signing up if you’re a newer fashion/lifestyle blogger! I’ve done 2 product trades via this network and both were very easy. Social Fabric – Social Fabric is one of my favorite platforms! If you’re a lifestyle/parenting blogger there are SO many opportunities. There are quite a few important directions involved in each campaign but all the info you need is right in your dashboard so it’s very easy to go back in and check to make sure you’re completing your tasks properly. Payment varies greatly from job to job but once you do complete a task the payment is very quick! Massive Sway – Pay is isn’t amazing but it’s very organized and directions are laid out clearly. Socialix – I’ve only done 1 campaign campaign with Socialix and it has been one of my favorite recent campaigns! The directions I was given were very clear, everything was very organized and I was paid VERY quickly. You deal directly with the brand/company so you don’t have to worry about drafts/revisions. I highly recommend! TapInfluence – It took me FOREVER to get a campaign offer through Tap! But I will say it was very well organized and I really enjoyed it. If you sign up and don’t get any offers I suggest reaching out to a contact there and introducing yourself, ask for insights, etc. Muse – I love Muse! It took quite a few applications before I was accepted to my first campaign but I LOVED working with them on each one since. All the campaign managers I’ve dealt with have been exceptionally helpful, friendly and flexible. I can’t say anything great things about this platform. It’s also name-your-price so you can insert what you would like to be paid vs. them telling you what the rate is. Buzzoole – Another great platform that allows you to name your price. I’ve worked on 2 campaigns with them now so far. The only downside is that it’s a bit unorganized. All communication/direction/revisions are done via email which can get pretty confusing after awhile. Having to go back and sift through all my emails gets time consuming and messy. They pay is better then other networks though so if you can handle the way it’s run then you’ll be ok. It’s also a bit confusing on when you can expect to get paid but I will say – I did receive payment for both campaigns without too much back and forth. Mom It Forward/Forward Influence – I just got done with my first campaign and it was awesome! I don’t believe they are all the same but this particular campaign asked for my rates which I much prefer over a set given rate. Clever – Clever is now one of my favorite platforms. With a very clear dashboard and instructions for each campaign it’s pretty straight-forward. The only downside is that the payout period is 60 days after the campaign end date. Acorn Influence – I’m currently working on my first Acorn campaign! The details for the campaign are laid out on the site making it easy to keep track of required deliverables, due dates, etc. The pay is also good. Mometer – I worked with Mometer on a campaign around the holidays and it was great! They pay was fair and the deliverables were simple. The only thing that I am not a fan of is that all communication is through email. I never prefer this because it’s hard to keep information organized this way, especially if you’re a blogger working on several/many jobs at once. Inda Hash – Inda Hash is great. You download the app and you can apply to campaigns right through there. It keeps everything organized and easy to find and you get paid very quick post campaign. They do have a set rate in place but I always negotiate these as they are very low. Takumi – Takumi is another app where you can apply for opportunities. I’ve only done one campaign through Takumi but it was very simple, organized and straight forward. Most of them campaigns I’ve seen available are for kids/parenting (clothing, car seats, etc.) so it’s perfect for mommy bloggers. Influence.Pepperjam – I just completed my first campaign through the platform and I had a great experience with the brand I worked with. The platform itself though gave me quite a bit of trouble. It’s a new platform so you can expect little issues quite frequently. I have a contact that I email whenever something isn’t working and he’s always very helpful. Pay was quick! Tomoson – Update* Since writing this post I have completed 2 campaigns with Tomoson which in turn has resulted in an ongoing partnership!! In Tomoson you talk directly with the company/brand that you apply to and negotiate without Tomoson being involved. Pay was quick and I am so happy I was able to connect with my ongoing partnership contact! I will say I have applied for TONS of campaigns and only gotten 2 but I’m still working on increasing my following on all social channels so I’m still very happy with at least getting those! Find Your Influence – I get surveys from Find Your Influence frequently but don’t get selected for most. I was offered 2 campaigns recently but the pay was really low, so I countered and then didn’t get accepted. You can see that the list of networks for paid blogging jobs that I haven’t worked with yet is pretty long. While it may be on the easier side to get into some of these it doesn’t necessarily mean you’ll get opportunities right away. I still suggest signing up for them because you never know when some paid blogging jobs might pop up that fit your niche! Sometimes brands aren’t looking for influencers with the largest following and instead have a different market they are trying to reach (location, etc.). With that being said, I do think you have a greater chance of receiving paid blogging jobs if you have a presence on the 4 main social channels (instagram, facebook, twitter, pinterest). I hope this list of paid blogging jobs makes it easier for you to search for and apply for opportunities! If there are any other networks with paid blogging jobs that would be great for newbie bloggers that aren’t on this list, please drop a comment below so I can check it out and add it! If you have any questions feel free to leave a comment or shoot me an email. I hope you found this paid blogging jobs post helpful! Previous Post The Best Weekend Sales 2.2.18 – Workout Apparel, Shoes, Handbags, Jewelry, Etc. Thanks so much for this list! Will look into these for sure! I’m so glad it was helpful! If you have any questions I’d be happy to help 🙂 Thanks for stopping by. Thanks for the mention of influence.co. We have lots of free resources your readers might be interested in such as industry rate data: https://influence.co/go/rates. Thanks again for including us! Thank you so much for this list. I have been working with Tomoson for 2 years now and LOVE them! Hi Stephanie! I’m glad you like this post! I like Tomoson too. I have gotten some great opportunities from there. Thanks for stopping by! Youre so welcome! Im happy to help. And can I just say you are so gorgeous! This is a great help… Thank you so much for sharing this post. Thank you so much for sharing the list!!! I really appreciate it. I’ve seen bloggers with so many followers on Instagram explaining that actually half of the time they don’t know what are doing. 🙂 Not true, of course. 🙂 Love your blog! thanks so much! I’m glad I can help!! Your article is really helpful as I m new and had no idea that how I can earn handsome amount of money through my blog. Thanks a lot.